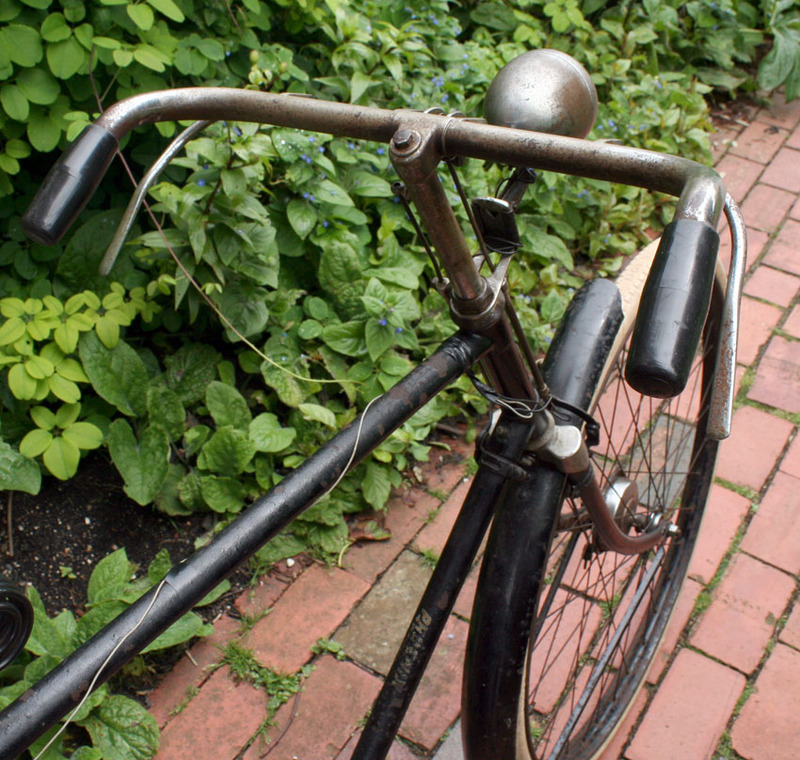 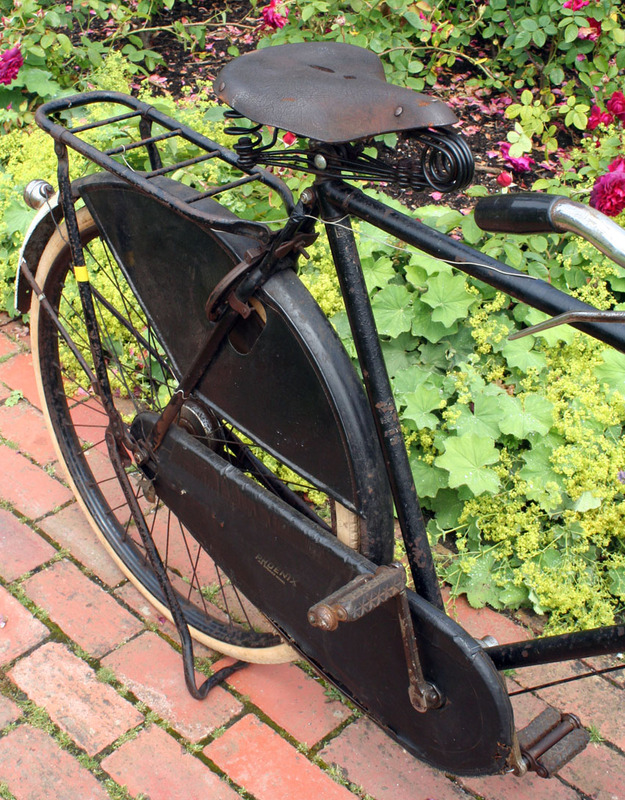 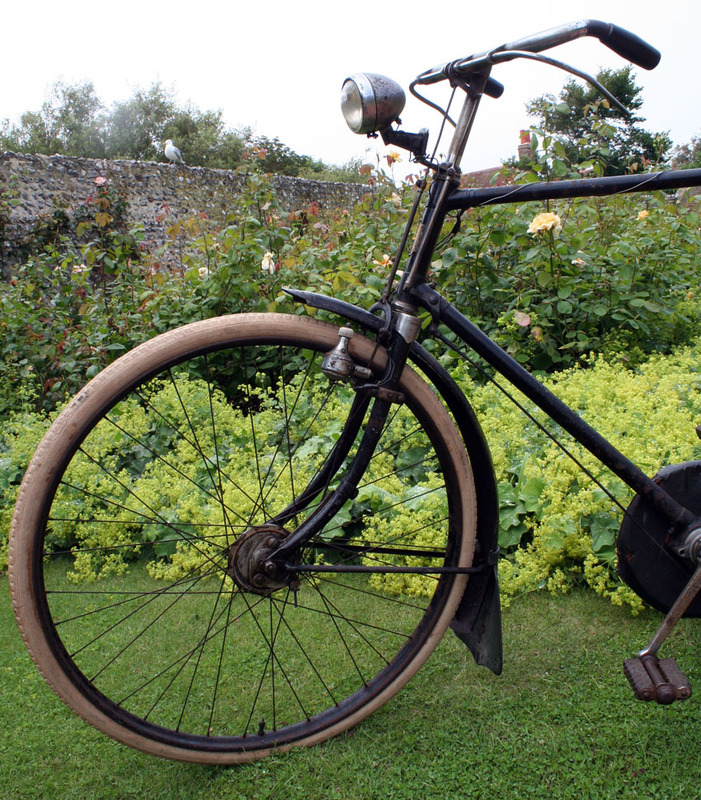 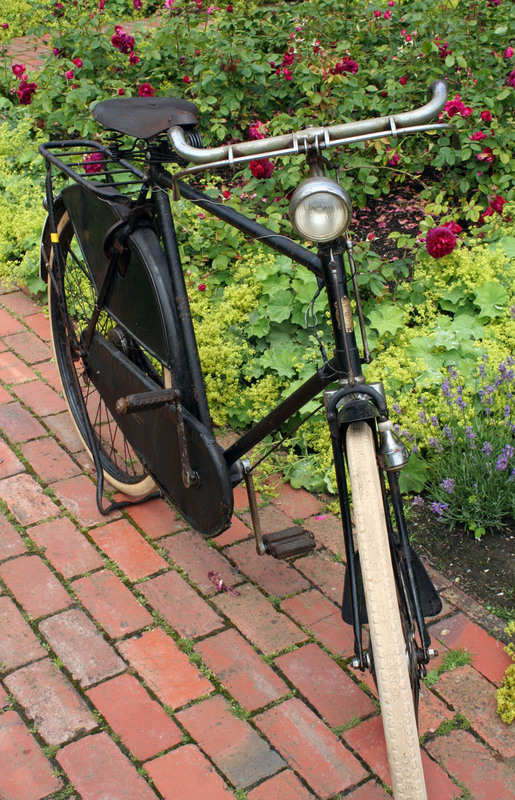 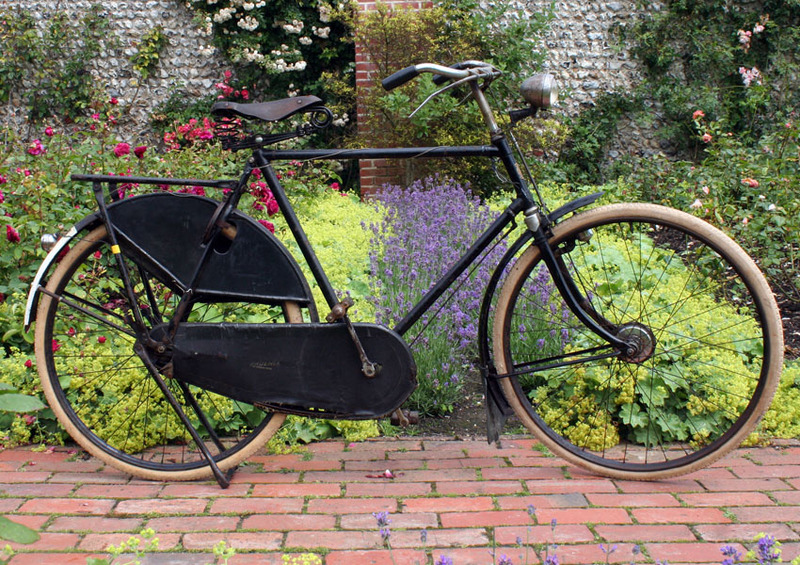 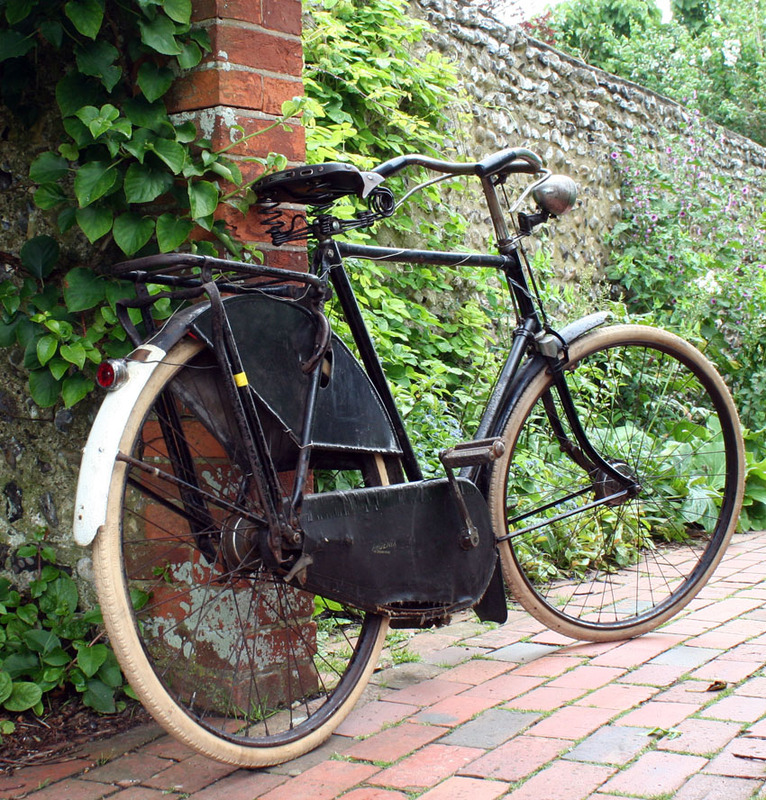 This rare Dutch Phoenix bicycle is very interesting – it is fitted with a Mutaped Phoenix 3-speed bottom bracket gearbox. 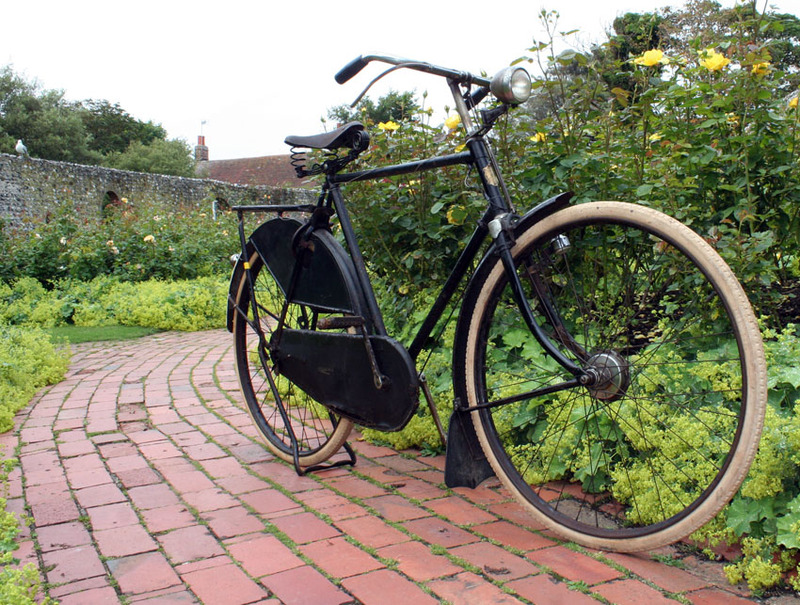 After the Adler ‘Drei-Gang’ (3-speed) was introduced in the mid-thirties, other companies were keen to market a similar machine. 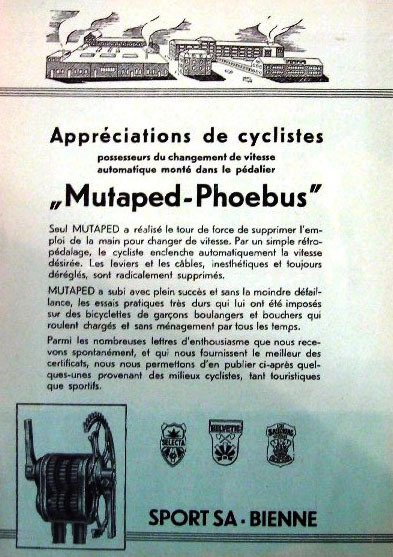 The Swiss Mutaped-Phoebus 3-speed was the best bottom bracket gearbox available. 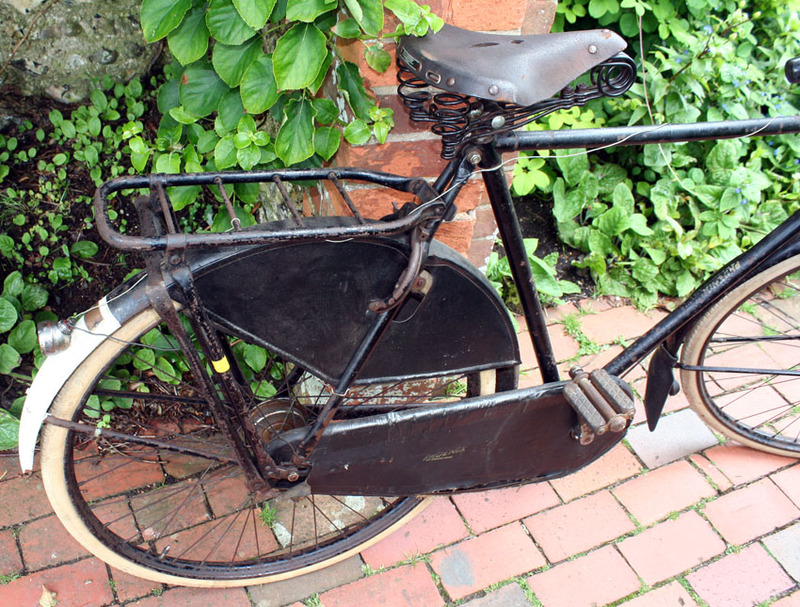 This machine is in original, unrestored condition, with its Phoenix transfer visible on the frame and also on the chaincase. 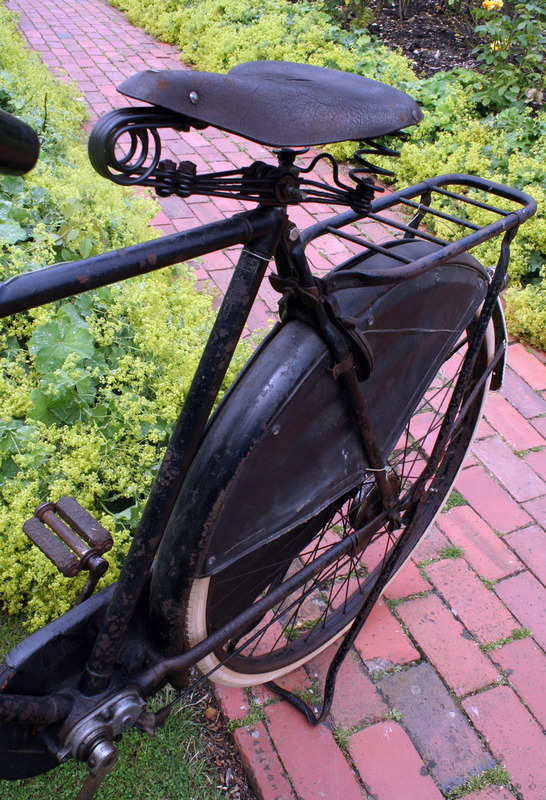 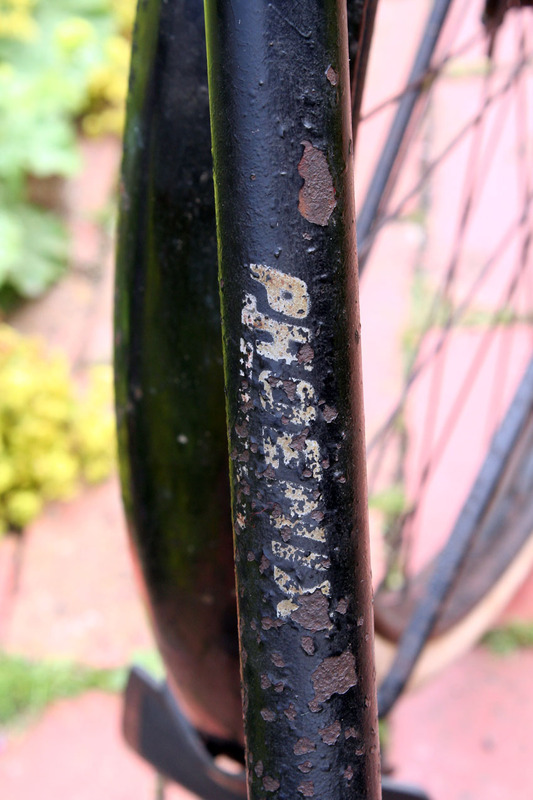 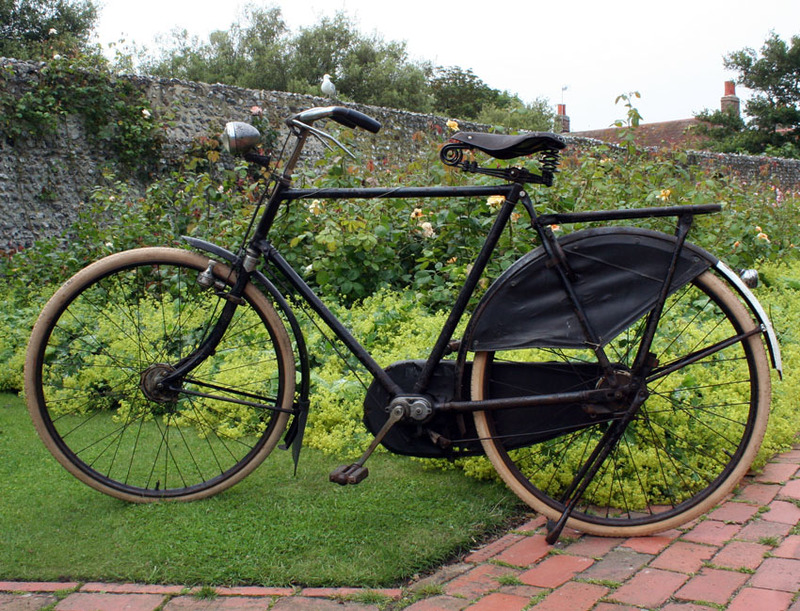 There’s also a good headbadge, and a shop plate on the rear mudguard which shows the shop that supplied the bicycle. 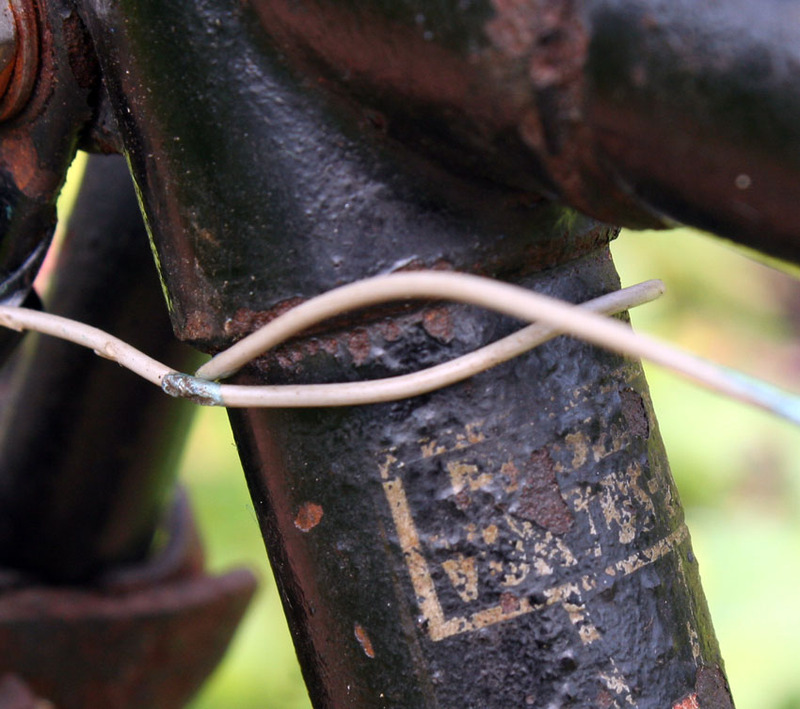 The Phoenix could do with tidying: the chain-case is torn in places, and the wiring is held in place with tape. 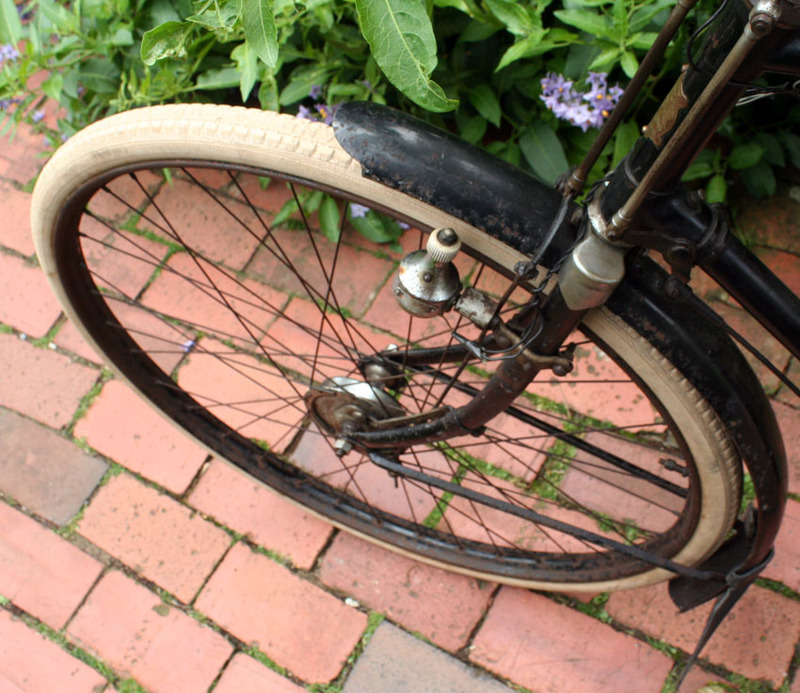 The tyres are old but usable. 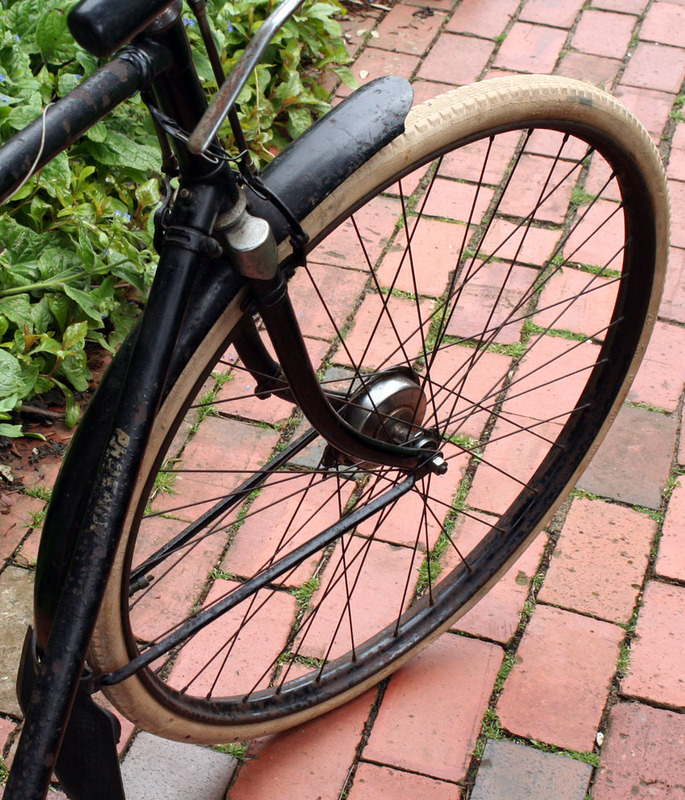 The brakes operate but (typical of 1930s drum brakes) are not very good. 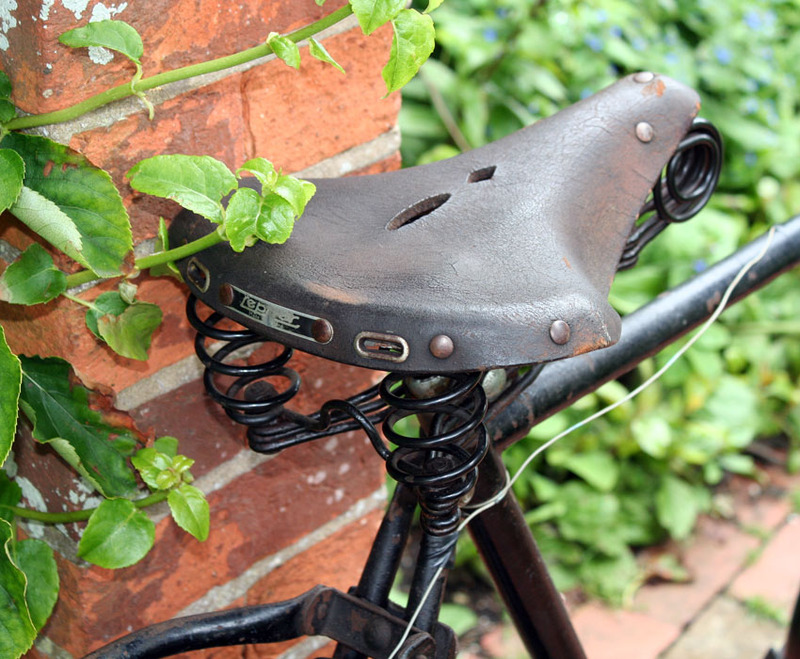 The rear stand is a bit wobbly. 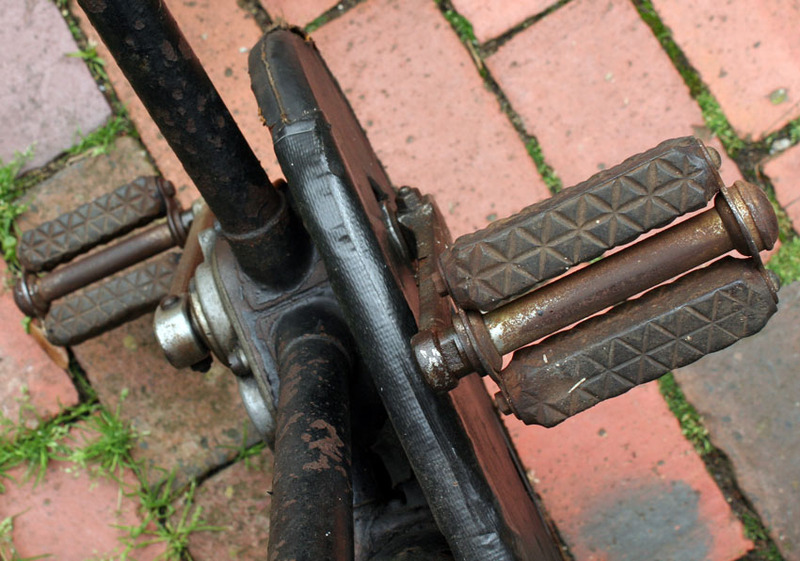 Apart from the above points, it is in full working order. 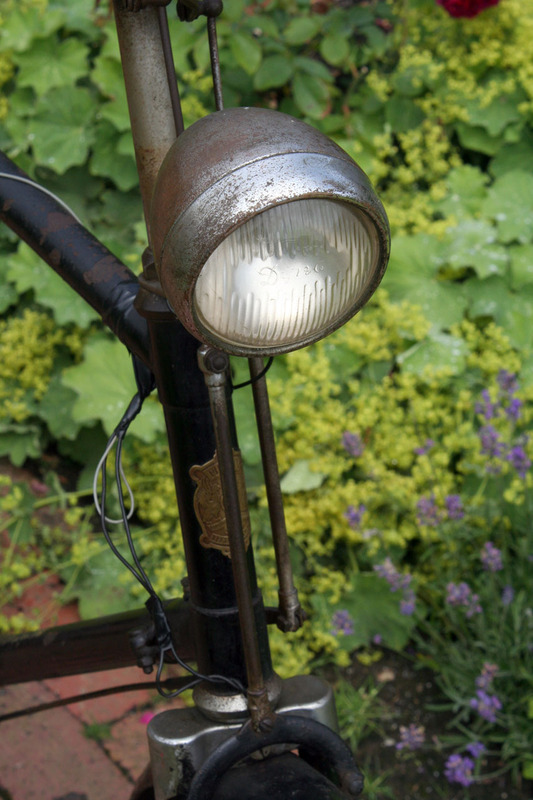 Even the dynamo and lights work. 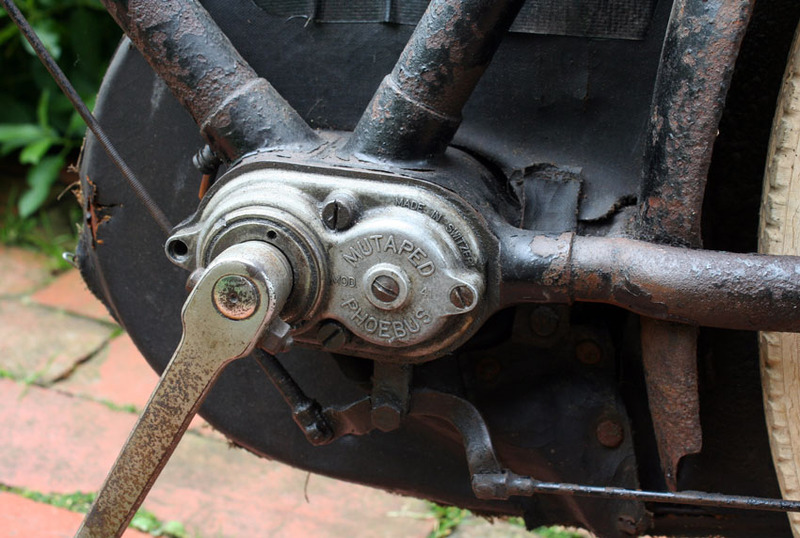 I wasn’t sure how the gearbox operated, but my friend Tony and I experimented, and we discovered that you change gear by back-pedalling three revolutions. 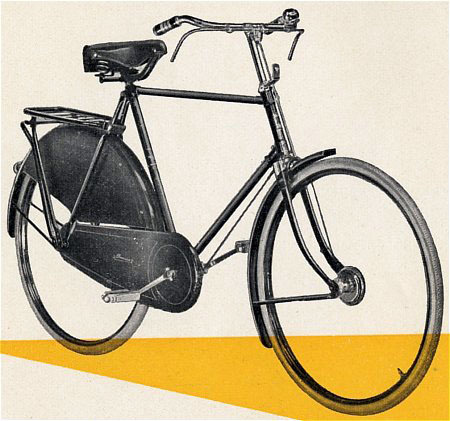 You can see this illustrated in one of the videos below. 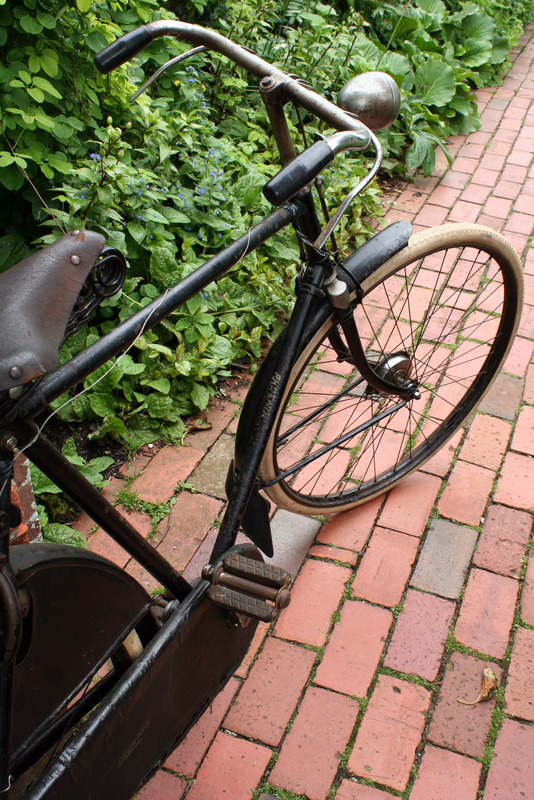 The gears select freely. 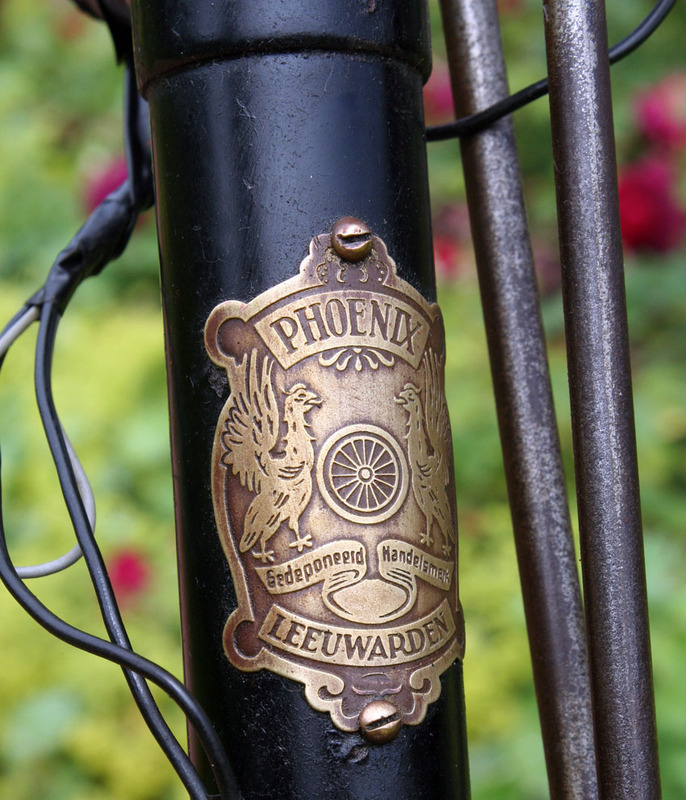 It is not clear exactly when the Phoenix bicycle brand started. 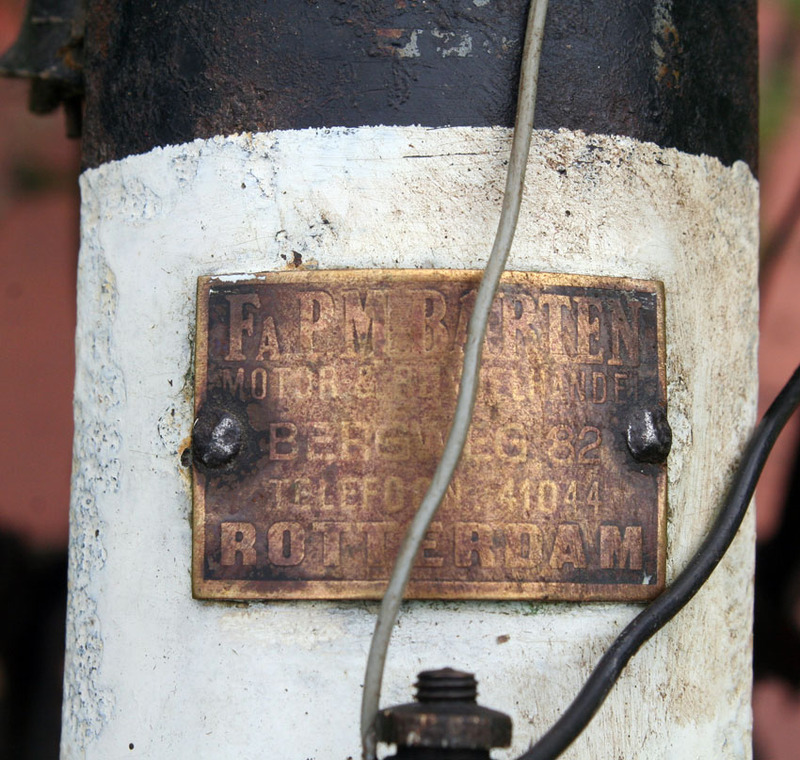 There was a company with this name in the 1890s, but it is believed that founder Albert Schoostra started the company between 1904 and 1910. 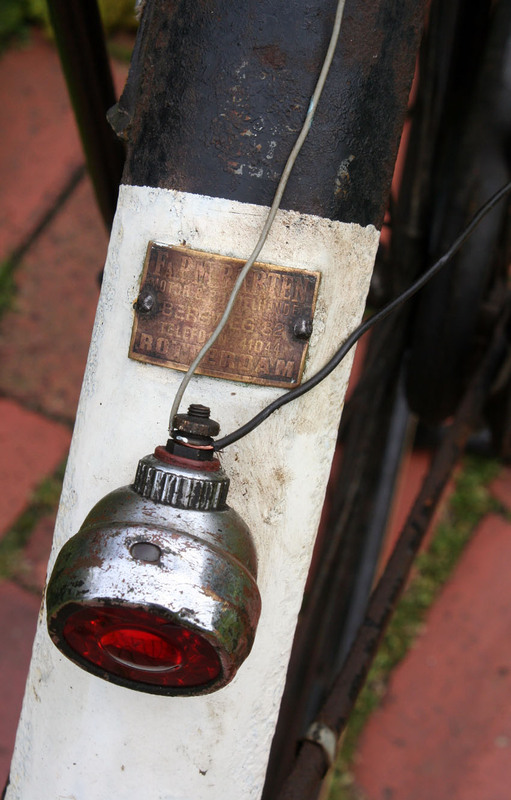 In 1925, the company built a relationship with the Swiss manufacturer Phoebus, to market their Nordlicht bicycle lights in Holland. 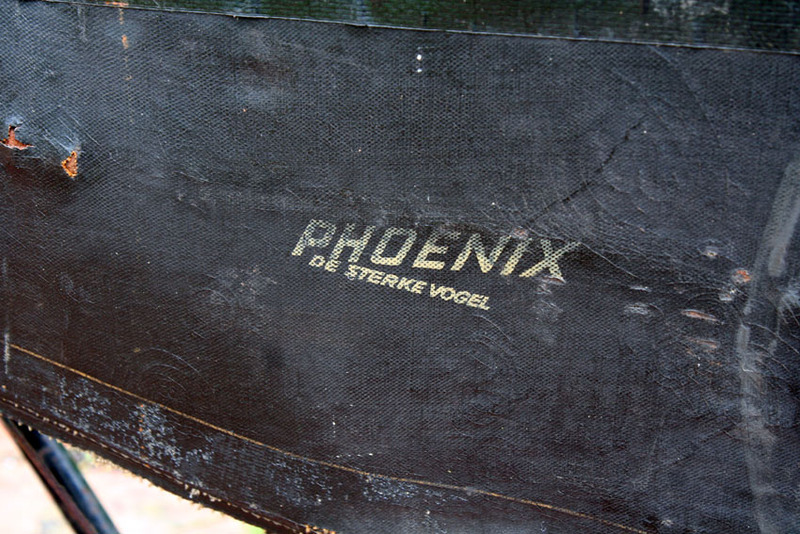 The companies continued their co-operation until the end of Phoenix in the 1970s. 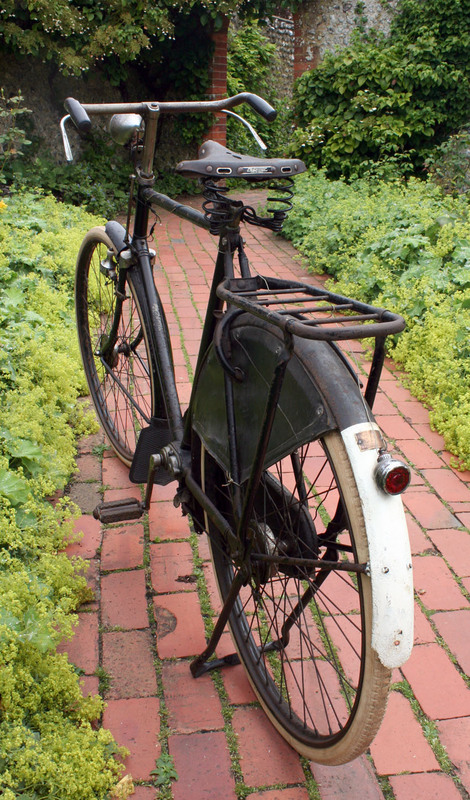 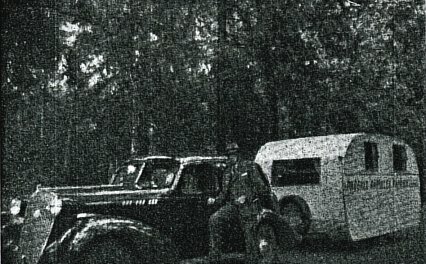 Adler introduced the ‘drei-gang’ in the mid-thirties, with a gear mechanism built into the crankshaft rather than the rear hub. 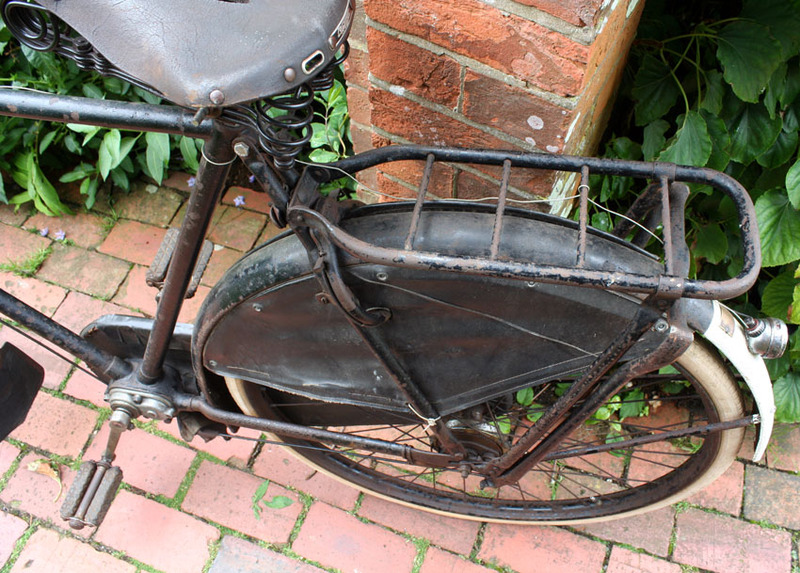 A Dutch company built a similar bike under license in Holland, but it was not a success. 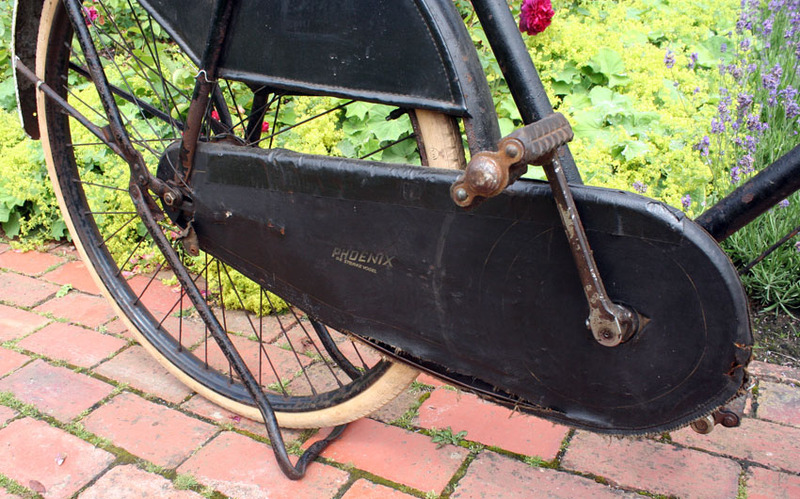 Phoenix acquired the rights for the Mutaped Phoebus ’3-speed bracket’ and it sold well in small quantities. 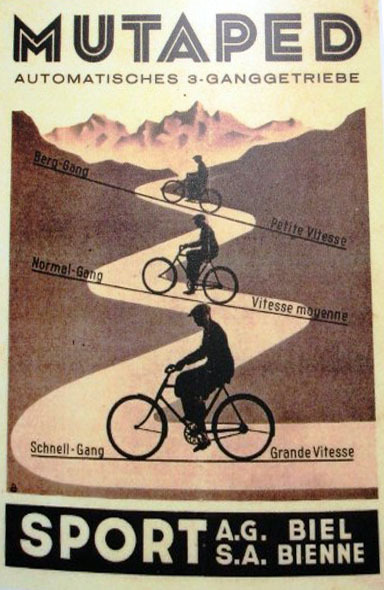 At the same time, the company introduced a new paint (Vortus) and also a mobile showroom – actually a car and caravan – to demonstrate their new geared bicycles.